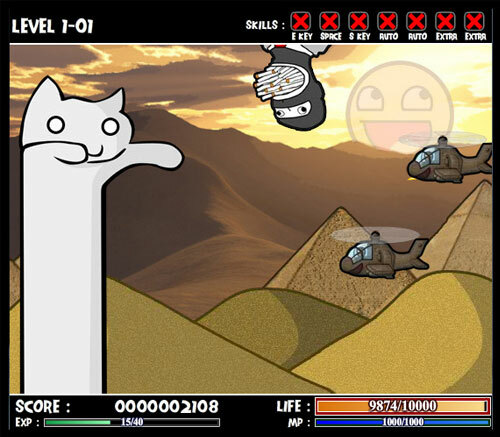 Description After the success of the original, Catnarok, the game based on memes and Internet culture, comes back in a new version that might actually qualify as a game! That's right, no more dumb spamming the mouse! Welcome to an actual aim and shoot game with 6 special abilities, more than 20 ennemies, a brand new tree upgrade system, and 4 epic bosses for 4 epic stages!